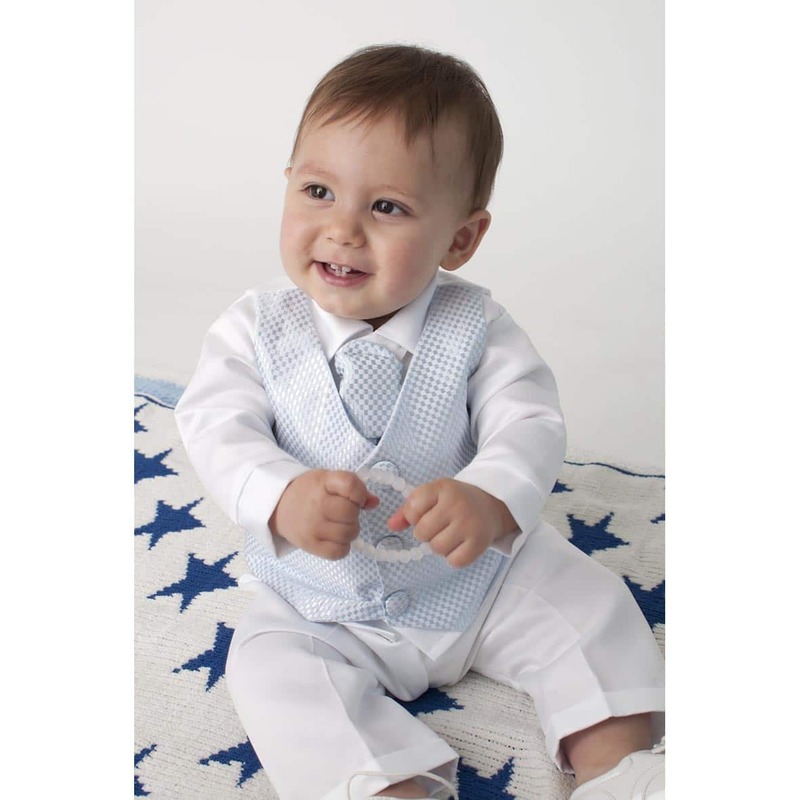 Our adorable blue diamond 4 piece Christening suit has been designed to make ensure your baby boy steals the show on his christening day, the set includes a waistcoat, matching cravat, shirt and easy change trousers for those inevitable change or 2! 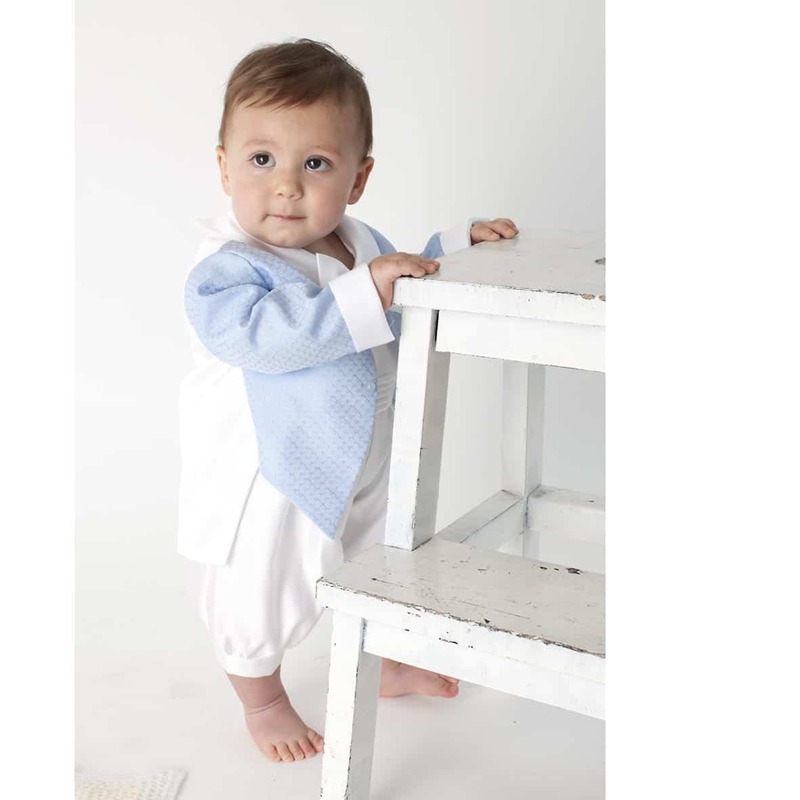 Make sure your little man looks extra cute on his christening day with our adorable bowtie christening romper & matching blue diamond jacket guaranteed to make the perfect outfit for that special day. 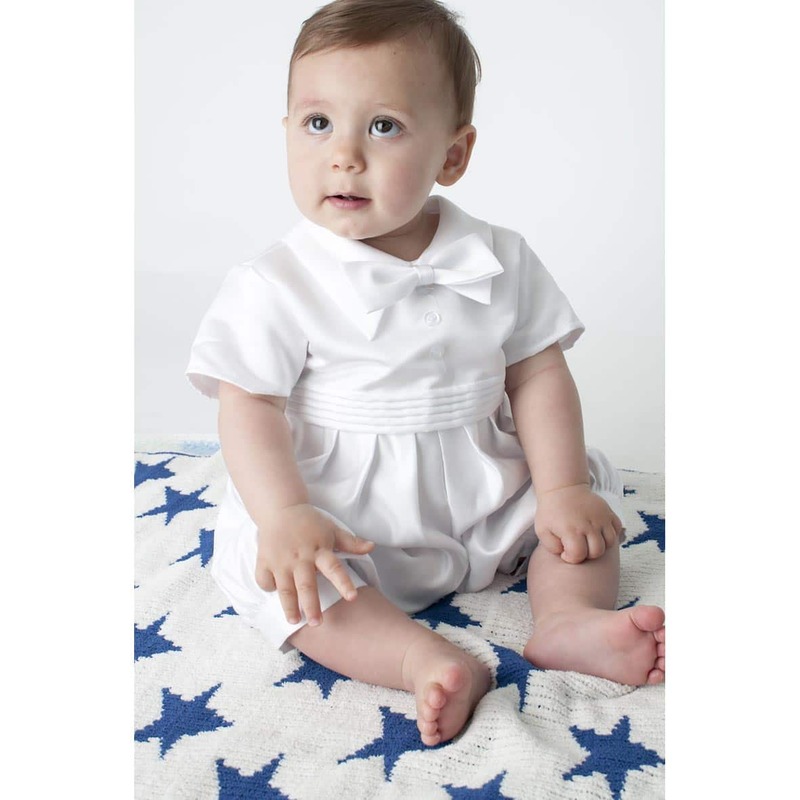 Our adorable boys christening romper is the ideal outfit to make your baby boy look his best on that special day, this gorgeous outfit features a 3 button romper with attached bowtie and a matching jacket just in case his christening is on a cold day! 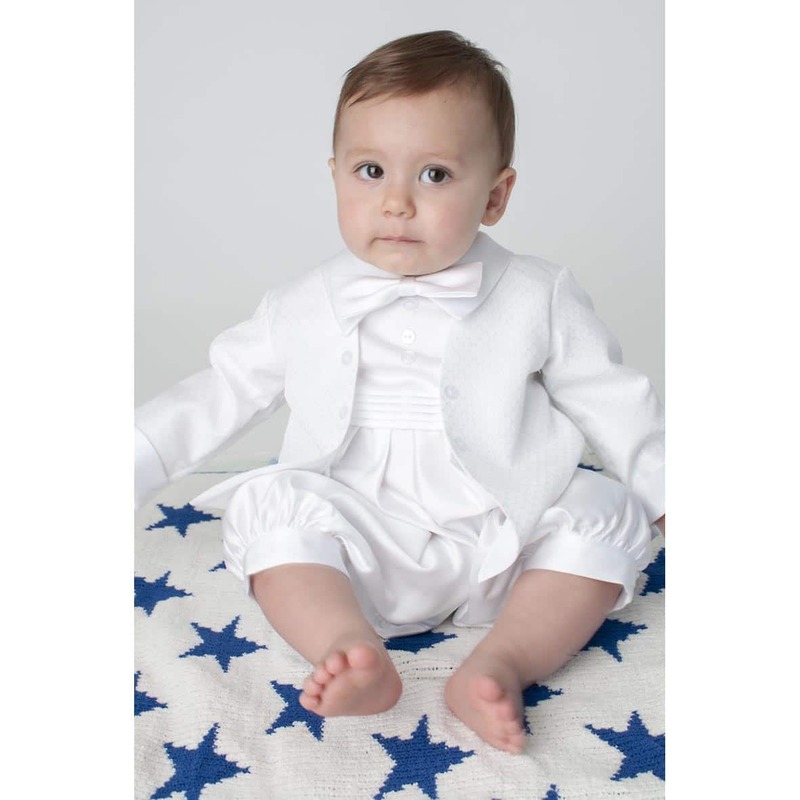 Make sure your little man looks extra cute on his christening day with our adorable bowtie christening romper & matching white diamond jacket guaranteed to make the perfect outfit for that special day. Adorn your baby boy in our simply stunning white paisley 3 piece suit, that includes a white collar shirt, patterned waistcoat, cravat and trousers - the perfect combination have your little man looking his best on the big day! Our adorable boys christening romper is the ideal outfit to make your baby boy look his best on that special day, this gorgeous outfit features a 3 button romper with attached bowtie and a matching paisley style jacket just in case his christening is on a cold day!